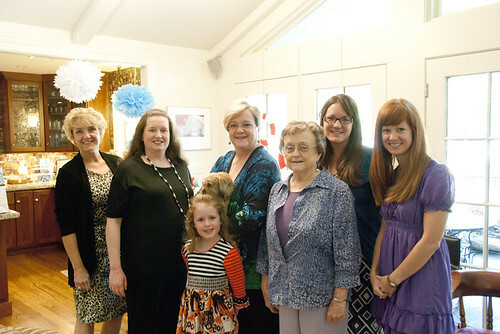 In all of my hometown excitement, I wrapped up my visit by throwing my sister, Booh, a baby shower. She’s due with her first son next month. Older sister, Lily, picked the “Bump Name” and—in a stroke of pure genius, or pure five-year-old—she picked “Geometry.” So we’ve been calling him “Baby Geo” ever since. And, if this is the shower that Pinterest built, well…these photos are the pictures that Photoshop built. There was a lot going on that day, that week, and I completely forgot to change my camera settings before the shower or check them as I went. #photofail So, yeah…my apologies to you and my thanks to RAW camera formats. 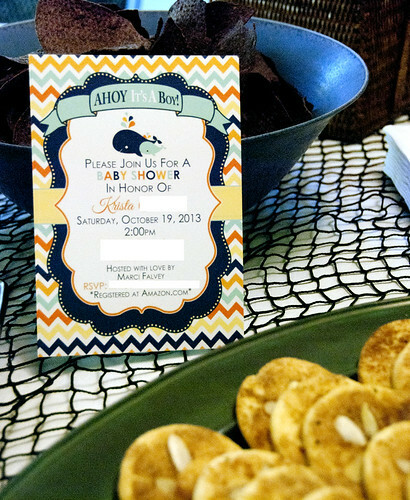 My aunt graciously let me host the par-tay at her house, which is perfect for entertaining. 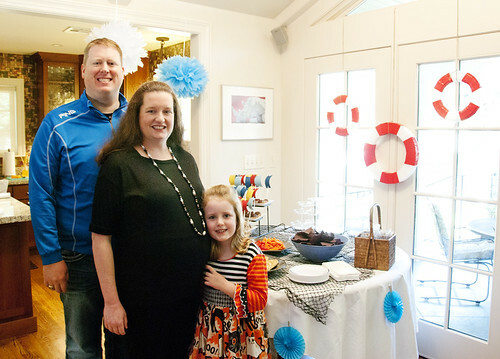 Most of the decorations were around the food table, including the life preservers that I made out of styrofoam wreath molds and red duct tape. 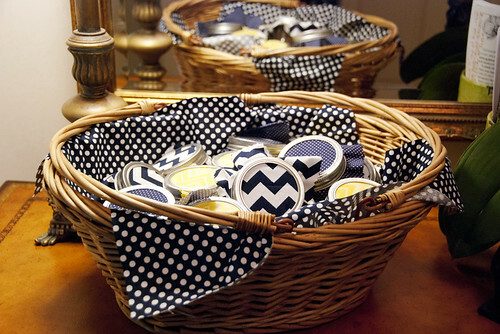 These were not Pinterest-inspired, but they were one of my favorite things at the shower. The food itself was all homemade and sea-themed. 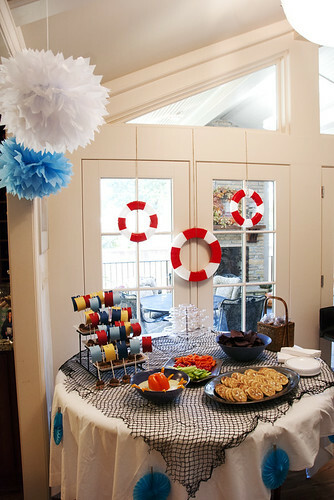 We had Cake Ball Boats and Sand Dollar Cookies, which you can see in the photo above. 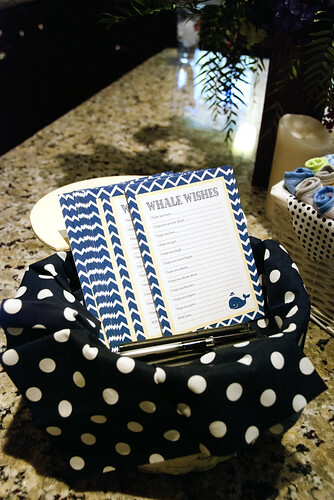 For activities, other than present-opening ooh-ing and aah-ing, we had these “Whale Wishes” that guests could leave the baby. 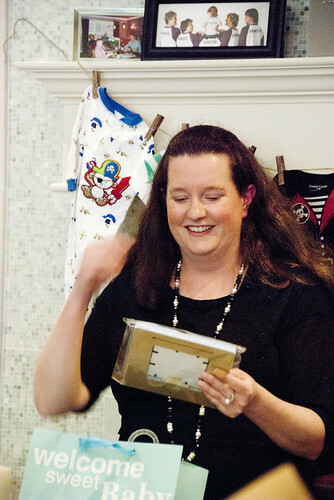 We also had blank bibs on hand for everyone to decorate. Lily got that part of the party started early. Booh opened her sweet gifts in front of this clothesline full of nautical onesies that I collected from Carters, Target and Walmart. I especially like the pirate onesie I found in the Halloween section recently. I sense a photoshoot coming on with that baby…I mean, outfit…I mean, baby in the outfit. The shower favors were little mason jars filled of homemade brown sugar coconut shower scrub that my mom helped me make. From Our Shower to Yours…is what I said as I handed them out at the door. Doesn’t sound freaky at all, does it? The photos aren’t perfect, but the shower itself pretty much was! 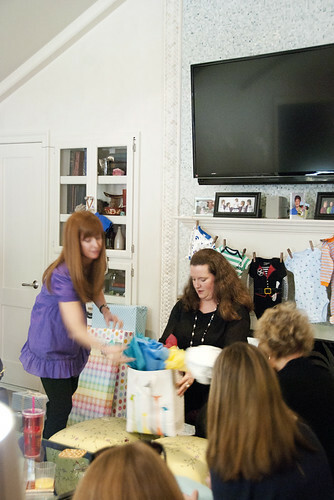 We had a great time showering Booh and Geo with love, gifts and yummy food. Hurry, hurry, Baby Geo! 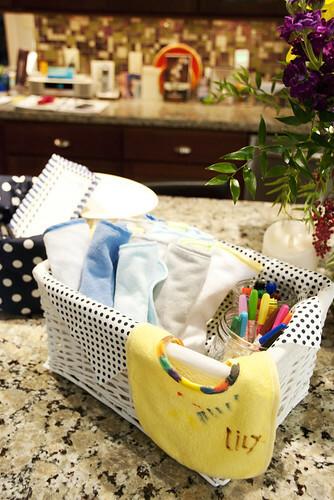 Your Aunt NoNo can’t wait to hold you…and dress you up like a pirate. SQUEEEEEEAL!!!! Love these photos. Thank you so much for throwing such an amazing party for Geo. Everything was just perfect, the decorations and food were so coordinated with the theme. The crafts and shower scrub were very creative too. Everything was just top notch! You are an amazing sister! Love you! Wow! This shower is incredible — I’m so impressed! I wouldn’t be surprised at all to see other people pinning pics of YOUR work to Pinterest. 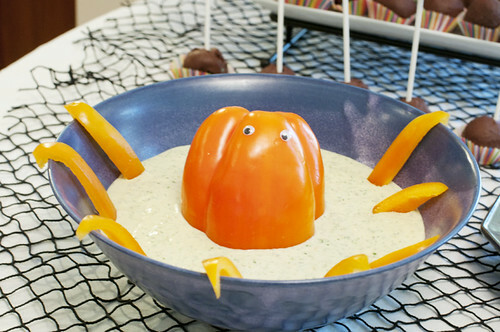 I love the Cake Ball Boats and the bell pepper octopus. As for Abby’s Alice birthday, Pinterest just made this mommy feel like a bit of failure. If you can make it, I’m bringing you on board for birthday #2! Love this shower! 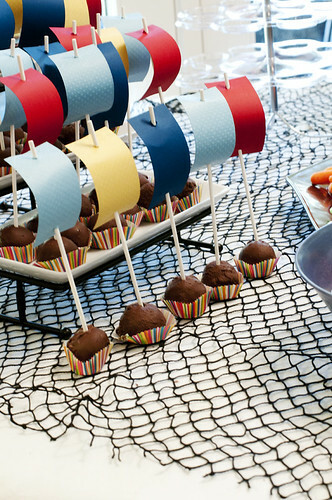 all sorts of cute and clever, from the nautical cake ball boats, to the bell pepper-cracken in the dip, to the favors! great job and congrats to your sister!